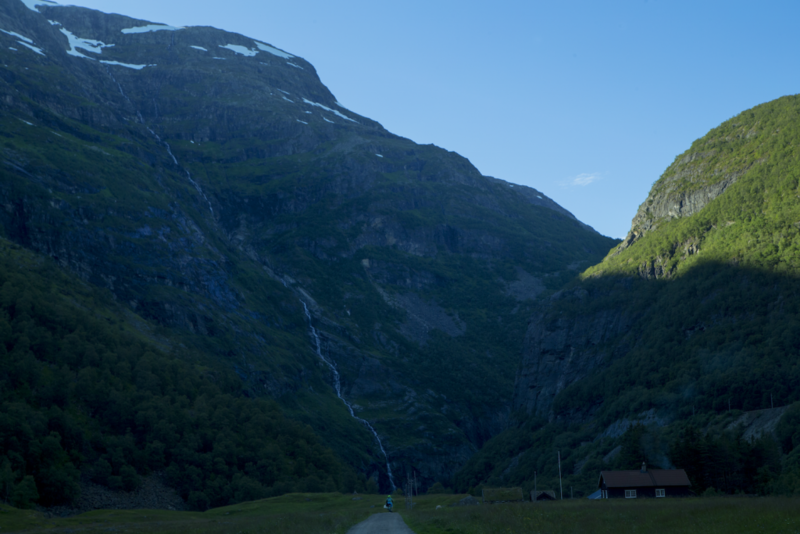 Charlie Annenberg and the Explore team are on the road again, and this time we’re traveling through Norway! Follow our blog and subscribe to our Facebook, Twitter, and Instagram accounts for photos, videos, and other real-time updates from the trip. 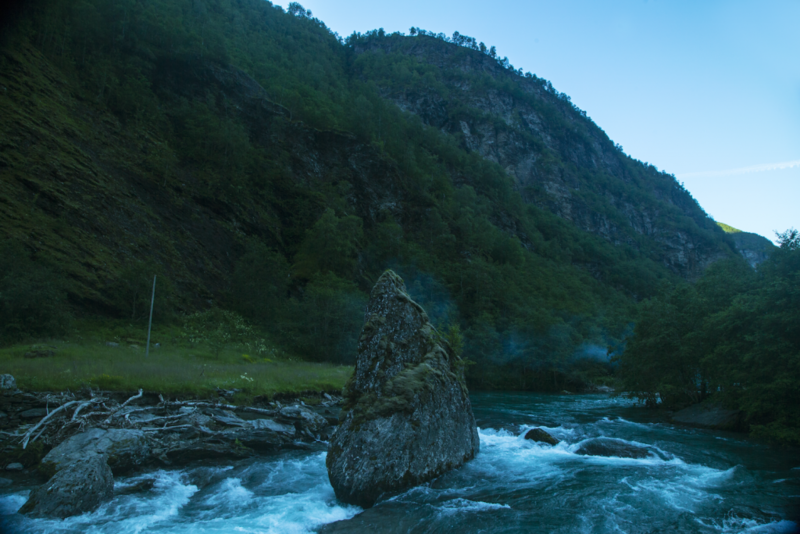 Today the team traveled from Norway’s capital of Oslo to Flåm, a beautiful city located at the head of the world’s deepest and second longest fjord. Here’s a photo preview of our journey, with Charlie leading the way! 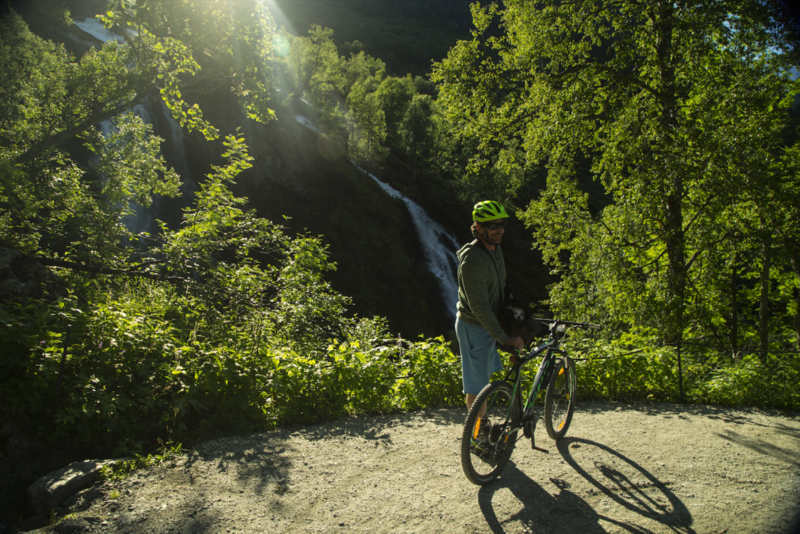 We can’t wait to share more of Norway’s landscape with you. And after all that summer sunshine still snow on the tops!! Did you swim in the river? I bet it was freezing cold! Such a beautiful ribbon of water flowing down from the snowfield. Did anyone take their shoes off and wade in the water? We did drink some of the water! It was delicious! Perhaps we’ll dip in the water today. Oh Welcome to my country! I am not on Facebook or any other social media, so I guess I’m going miss out a lot, which is a…. crime! Are you going inland too? This is very exciting! I have spent the summer in the puffin burrow on Seal Island and that is just amazing. Puffling Joy fledged the other day, and that is a pure victory to me. I made a little music-video dedicated PP, Audubon, Explore- and of course – to the puffin family. If/when you have a Norwegian time-out, I want you to know how much appreciated Explore’s impart of knowledge is. Never stop learning! Have a safe trip, enjoy our country!! Thank you so much for sharing, AnneMa! It’s a beautiful tribute that we’ll be sure to show to Charlie. And don’t worry about not following our social channels, we’ll post lots of photos to this blog as well! Hi AnnMa. That is a very touching video. Really beautiful. Hi coleus on I am one of thousands explore’s Seal Island puffin watchers, so..explore’s camera is the source The pictures are “stolen” from the screen. I wish I could be there, live and very happy, though! What is this beautiful music? I hope you will travel to Bergen. It was my definitely one of my favorite cities in Norway. 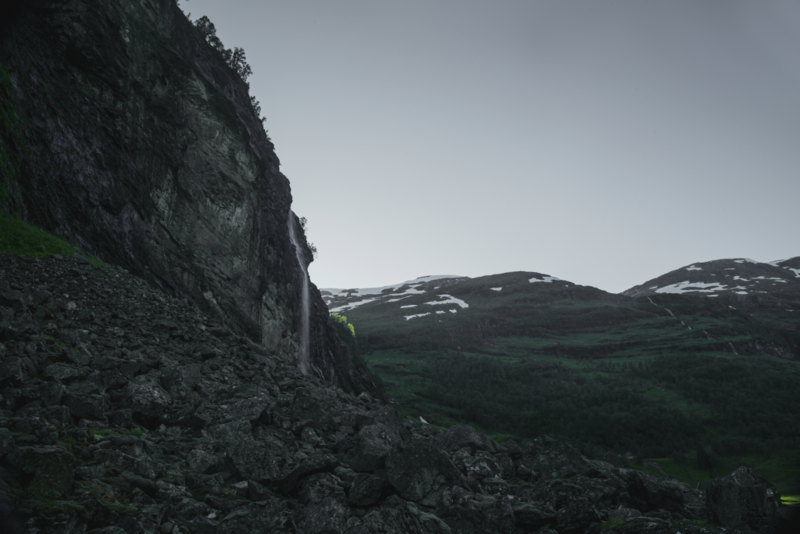 Voss is so beautiful, too. You are just surrounded by beauty there! Enjoy your trip! We will be traveling in Bergen! Nowhere in Norway will you find more rock carvings than in Sarpsborg. Nowhere in Norway will you find more rock carvings than in Sarpsborg. In fact, there are more than 2,600 individual figures spread over 200 fields, including the largest rock carving in all of Scandinavia, the Bjørnstad Ship. If you have been to the Viking Ship Museum in Oslo, you already have tasted a bit of Sarpsborg’s past. The Tune Ship from 900 A.D., that in 1867 was found on the Haugen farm in Tune, Sarpsborg, is housed there. To see such a magnificent discovery is exciting, but to explore land rich in Viking relics is awe-inspiring. One of the best ways to discover Sarpsborg’s ancient past is to follow Oldtidsruta (The Ancient Road). It leads west from the plain of Skjeberg in the south to Fredrikstad and the islands at Hvaler, then north to Hafslund in Sarpsborg, and back to the crossroads at Solberg. 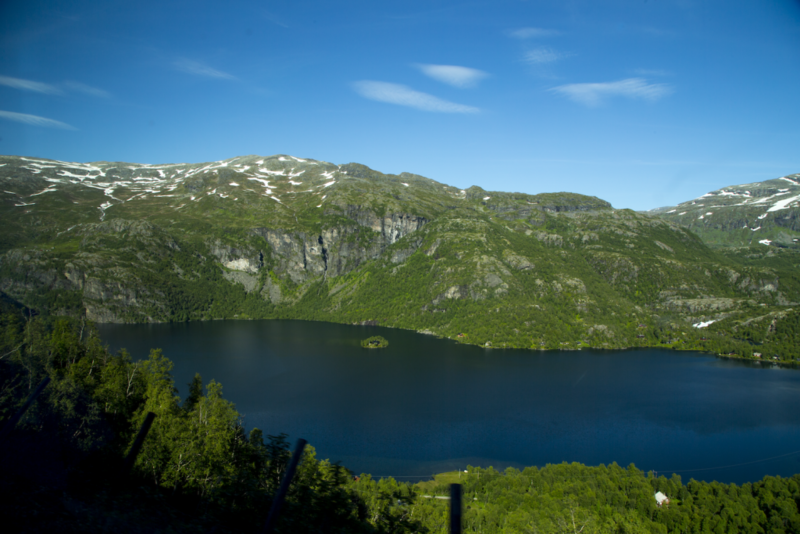 This historic road features Norway’s most concentrated collection of artifacts from the Bronze and Iron Ages. You will find early grave sites and fields of rock carvings depicting our ancestors’ everyday lives and religious customs. So, let’s explore a few of the highlights along Oldtidsruta. Hei Team Explore How was Bergen? A city with a magnificent personality, that’s for sure. May I ask; I suppose you have a planned route whilst visiting our country; have you revealed that route somewhere ahead of your trip? If so, where can I find it? Here’s wishing for fair winds taking you where ever you go! Hm…was that all? Have I missed something? really useful & it helped me out a lot. I’m hoping to give one thing again and help others like you helped me. a really well written article. I’ll be sure to bookmark it and come back to read more of your useful information. Pingback: 24/7 Courier in Los Angeles. Norway is a beautiful country, with wonderful people and culture. Pingback: Government & Seized Auto Auctions. Cars 95% Off!